It seems that the United Nations Secretary General Mr. Guterres does not watch the news. He has not noticed that the forces behind the President of the United States, symbol par excellence of a deeply sick world – and system – are struggling for the destruction of life on the planet within the next few decades. He did not notice that last April, in a space of only ten days, the US came close to starting two nuclear wars, in Syria and in Korea. He has not been told anything about the wars in the Middle East and the situation of a humanity which, from an overall perspective, finds itself in probably the worst, and certainly the most dangerous, moment in its history. 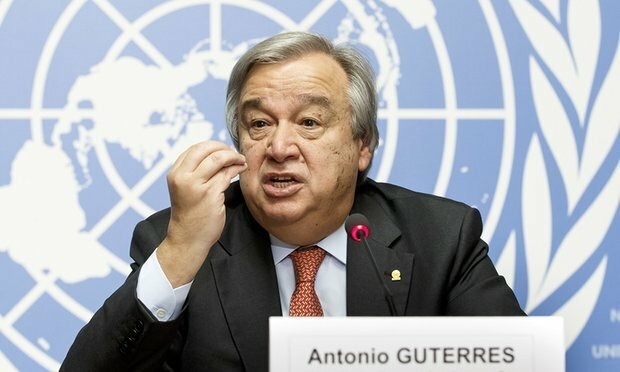 There is one thing that Mr. Guterres, a veteran of that peerless ensemble of European “Socialists” has in the forefront of his mind, keeping him awake at night. It is not the bombs in Afghanistan, the cholera in Yemen, the situation in Palestine, the famine in Africa. Mr. Guterres is concerned about how he can bring peace to Cyprus, where the hostilities ended in… 1974! For this purpose he has already traveled to Ankara and now he has urgently summoned the leaders of the Greek and Turkish Cypriot “communities” to New York. Before Mr. Guterres it was Victoria Nuland that was intensely preoccupied with the Cypriot question (she too nearly triggered a nuclear conflict in Ukraine) and also the Prime Minister of Britain, a country that has contributed in every possible way to the demolition of half the Middle East, who even traveled to Ankara to persuade Erdogan to agree to a Cyprus solution. The President of the European Commission, Jean-Claude Juncker (during whose watch Greece proceeded serenely on its course towards destruction, Britain left the EU and all of Europe faces the threat of disintegration) also remembered suddenly that the Cyprus conflict needs urgently to be addressed. That is how it came about that Greek and Turkish Cypriot leaders arranged a meeting with Mr. Guterres tomorrow in New York. How do they want to solve the Cyprus conflict? In a revealing interview for the German Press Agency (DPA, 27.1.2017) given by the Greek Foreign Minister Mr. Kotzias, who wrote bulky tomes on the transformation of Greece into a “debt colony” before himself becoming one of the colony’s ministers, outlines with a cogency to which his German readership will feel entitled what exactly the plan is for Cyprus, making it clear beyond any doubt that the purpose of the operation is to transform a second member of the EU (after Greece) into a protectorate of the “axis of naval powers” (USA, Britain, Israel), with some kind of role in the governance of the EU, even if we do not know what that will be and whether the Union will even exist in a few years. As the honorable Minister explained, re-interpreting with disarming frankness Pericles’ definition of democracy, all major decisions in the new state whose structure is at present under negotiation and which will replace the existing one will be taken on a half-and-half basis by the majority (82% Greek Cypriots) and the minority (18% Turkish Cypriots). He did not say as much, but clearly, as most probably these two parts of the population will not be in agreement, foreigners will be called in to take the decisions, as envisaged in the Annan Plan that was rejected in the 2004 referendum. It is one question who makes the decisions. Just as important is the question of who implements them. In our case the ultimate responsibility for exercising sovereignty will be in the hands, as the Minister explained, of an International Police Force. As for the existing armed forces of Cyprus, they will be dissolved. The new “state” will not have its own army or the right to self-defense that is possessed by other UN and EU members. It will be “demilitarized”, which in practice means that the natives will be forbidden to have their own army, but there will be a lot of foreign troops in circulation, and above all there will still be the monstrous British bases with a fundamental role in the wars in the Middle East and the monitoring of global communications. This “state” legally will be a post-modern protectorate run by foreigners. Psychologically it will be a way to ensure that Greek Cypriots and Turkish Cypriots will never be friends, because the majority will hate the minority for the perennial injustice written into the very institutions of the new “state” and the minority will be trapped as never before in its excessive privilege and will be forever running to Ankara to ensure that this is not challenged. Both communities will be petitioning the “international community” (i.e. the USA, Britain, Israel, Brussels: the post-modern colonial authority), and bending over backwards to retain its favour. In practice the New Cyprus will be a time bomb, with the capacity to turn the island into a new Syria at any moment, creating serious problems and threats for both Greece and the EU. Through the Turkish Cypriots Turkey will have voting rights in the EU, henceforth made a de facto member, with the rights – but not the obligations – of countries belonging to the Union. But not even Turkey itself will benefit from this in the long run, because such a situation will lead sooner or later to serious European hostility against Turkey. Following the Greek “experiment”, where sovereignty and democracy of a member state of the EU were abolished through utilization of a debt war and “bail-out” memoranda, a new experiment of the same kind will take place inside the EU, under the pretence that this is the way to “solve the Cyprus conflict”. If such a plan is accepted and succeeds, it will represent a huge new triumph of the forces that are struggling to transform the EU into a totalitarian structure. If it fails, as is more probable, this will be to the advantage of the Forces of Chaos, which we have already seen in action in the Middle East, in the Greek/European crisis, in Ukraine, in the issues of global climate. The method used in Cyprus is the same as that used in Greece. First, as much as possible, you control the local elites through corruption, blackmail and every type of pressure. Then you find a way to circumvent the will of the people. In 1789, the people of France decapitated its kings as a means of obtaining their freedom. Now, the Kingdom of Money takes its revenge by decapitating societies, through assertion of control, through buyouts, through coercion and other means, over their political elites, their media, their intellectuals, their entrepreneurs, their universities, etc. In the Eastern Mediterranean, if not in all of Europe, the Empire has achieved giant leaps towards turning nation states into virtual reality. Those formally sovereign states now remind us of the final phase of Roman imperial extension when the kings of the still independent Hellenistic kingdoms went of their own accord to Rome and surrendered their powers, their countries and their subjects, to Caesar, asking for some benefits for themselves. 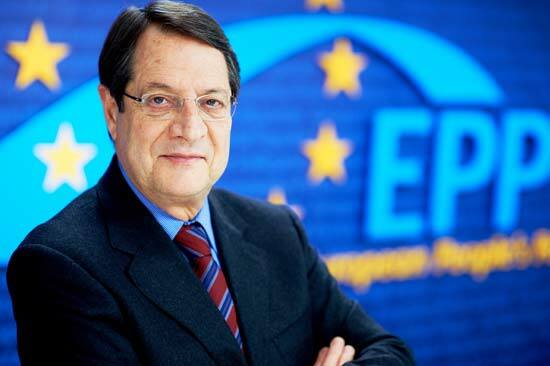 In the Greece-Cyprus-Turkey sub-system of the Eastern Mediterranean, the first of the three states has been to all intents and purposes dismantled and placed under the economic sovereignty of the creditors and the suffocating geopolitical-strategic control of the axis of “naval powers” (USA-UK-Israel); the second, under Mr. Anastasiades has managed to preserve an independence verging on the purely formal and only the third is struggling in its way to retain its sovereignty and independence. This is why the governments of Cyprus and Greece are putting up no resistance to the plans for dissolving the Cypriot state. But there is one more “detail” to be addressed. The will of the people. Which brings us to the relevance of the method introduced by Victoria Nuland and supported by Mr. Guterres for addressing the problem of the existence of the population. Up until 1st December an unspeakably farcical comedy of “intercommunal negotiations” was under way in Cyprus, where the leaders of the Greek Cypriots (82% of the population) and Turkish Cypriots (18% of the population), Anastasiades and Akıncı, were allegedly attempting to find a solution to the Cyprus problem that could be submitted to a referendum and approved. We call it a farcical comedy because in reality it was not an attempt to solve the Cyprus problem, something that would presuppose engagement of the Greek Cypriot and Turkish Cypriot societies in a deep, frank, serious and honest dialogue about how they envisage their common future. It was a negotiating initiative between two leaders that took place not because the society of the island wanted it but because the West, which aspires to control over the island, demanded it. The conflict between Greeks and Turks on the island was in any case, historically, fomented and perpetuated by Britain, the USA and others because they had no other way of maintaining their control. These negotiations were conducted in reality on the basis of the proposal already rejected by the population in the referendum of 2004, the Annan Plan, which involves massive violation of the most basic and globally recognized provisions of constitutional, international and European law, including the full abolition of the rule of majority (democracy) and of the right to self-defence. Supposedly if these discussions reached some conclusion, the new plan for solving the Cyprus conflict would be put to a new referendum so that the inhabitants could decide if they want to live in this state. But the discussions have evidently not come to any conclusion, nor has there been much chance that the inhabitants would have voted yes to any new plan of such a kind. The internationally renowned peace lover Mrs. Victoria Nuland thus resolved to implement a change of methodology. She retrieved from oblivion the neo-colonial agreements of 1960 that had been imposed by London with threats and blackmail upon the Cypriots revolting against British colonial rule. The validity and legality of those agreements was challenged decades ago by the United Nations General Assembly and Security Council, not to mention Britain’s own specialists in the Foreign Office. Those agreements should also be regarded as null and void after the admission of Cyprus as a state with full and unimpeded sovereignty into the European Union. Based on the provisions of those agreements, a Conference of Guarantor Powers was convened in Geneva on January 12th. In this conference, convened to decide the status of Cyprus, three foreign states: Greece, Turkey and Britain are participating, but not the Republic of Cyprus, a member of the EU and the Eurozone. Representatives of only two (of the four) “communities” of the island (to use the British colonial terminology, itself an heir to Ottoman terminology) are participating: the Greek and Turkish Cypriot “communities”. To understand what is involved, imagine an international conference on the national problem of Spain, in which there is participation from France, Italy and Portugal, the various regions of Spain, but not Spain itself. In fact, the situation with the International Conference on Cyprus is even more surreal, as all the three states participating in this conference: Britain, Turkey and Greece (under the Colonels’ dictatorship, imposed on the country by the US and NATO), have in the past waged bloody wars against Cypriots, with the aim of preventing them from achieving self-determination and exercising it! In theory, a referendum is still provided for. But if it finally takes place, this will be when it has no meaning. 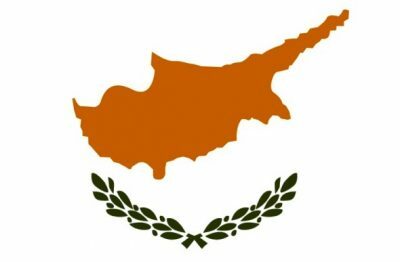 If the Greek and Turkish Cypriot leaders, Greece, Cyprus and Turkey sign the agreements on the status of Cyprus, the security provisions, etc., and then the EU and the UN validate this, then the international status of the new “state” will have been decided and no opposite vote in a future referendum will be able to resuscitate the currently existing Republic of Cyprus. A referendum may be held only when it will have no meaning. We should remind readers once more that all this is happening not in Eastern Timor or in Kosovo, in Namibia of the last century, or in apartheid South Africa. It is happening now in the European Union and the Eurozone. And it is of course completely illegal. It runs counter to the Constitution of Cyprus, the EU Treaties, the UN Charter and the fundamental principles of international law. But this is of a very relative significance, as long as there is no international institution able to impose conformity with international law. We have seen the results of this absence in bombing of Yugoslavia, the invasion of Iraq, the Greek “bail-out” programmes, etc. Mr. Guterres should be interested in this question, but judging from his actions he seems mainly interested in serving US and British imperial interests in the Eastern Mediterranean. The Conference convened on 12th January, reached no conclusions but remains in operation because it has been decided that it will be a permanent institution, like the Holy Inquisition. It ceases functioning only when the accused has surrendered his soul, or in this instance the Cypriot people their state. The purpose of this undertaking is of course not to resolve the Cypriot conflict but to wrest control of the island from its inhabitants and acquire it for an Empire that has coveted it since the time of Richard the Lionhearted and the Knights Templar. The Empire wants the whole island. It is not satisfied to have just the bases. And it would prefer to have it without its inhabitants. For, as Henry Kissinger is said to have explained, to justify his own crimes in Cyprus, whoever governs Gibraltar, Malta, Crete and Cyprus governs the world. There are general and specific reasons for this unnatural obsession with “solving the Cypriot crisis” as quickly as possible. – preparations for a major war in the Middle East (confirmed by the bombing of Assad’s forces by the US). To neutralize or attack Assad’s Syria and the Russian forces in Syria you must first encircle them and cut them off from Russia. You must control Turkey, which lies between Syria and Russia (this perhaps explains the hasty and unsuccessful 2016 coup) as well as Cyprus, which controls all the Eastern Mediterranean. As the British Defense Secretary Fallon explained recently “our bases in Cyprus are now more important than ever in History”. Why? – the existence within the international Establishment of a powerful “party of Chaos”, which seeks to cause as many problems as possible for the EU, and perhaps to break it up. – the very favorable conjuncture of the presence of President Anastasiades in Cyprus and a “debt colony” regime in Greece, under stifling control and supervision from USA-Britain-Israel. If anyone thinks that this is not correct and that there is something else to explain what is happening, let them say what it is. We ourselves have not read any other plausible explanation. This aspiration would long ago have been achieved if Tayyip Erdogan and Benjamin Netanyahu had been able to agree. For the moment this has not been achieved, so that the Cypriot state, for now, continues to exist and the European Union is spared yet another very serious crisis. If Delacroix were still alive, he could probably paint “The Argument of the Pimps in the Antechamber of the Odalisk”.